Prints and products are purchased and ordered during your private reveal session in the studio. Each piece is available a la carte, so you may purchase only what you love. Session fees do not include digital folios, prints or products. Clients typically invest $700-1200 in each custom portrait session including digital folios and printed products. 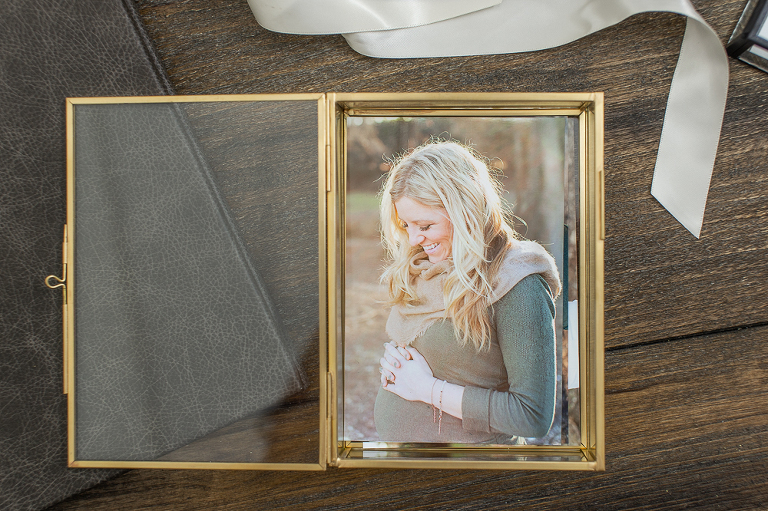 Our top-selling piece and studio favorite, the 11x14 folio collection box serves as a gorgeous display piece that doubles as an archive of portaits to add to with your next session and to pass along to your little one as a family heirloom. 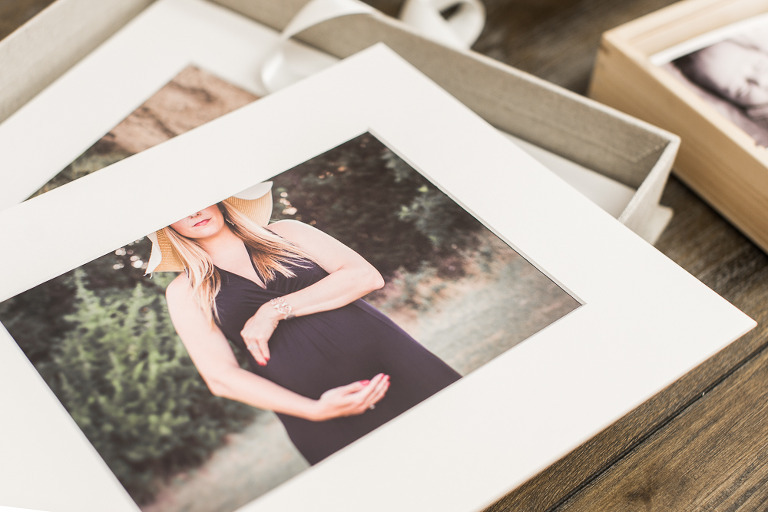 A favorite for a discreet collection of your maternity session and a must for First Year Baby Plans. 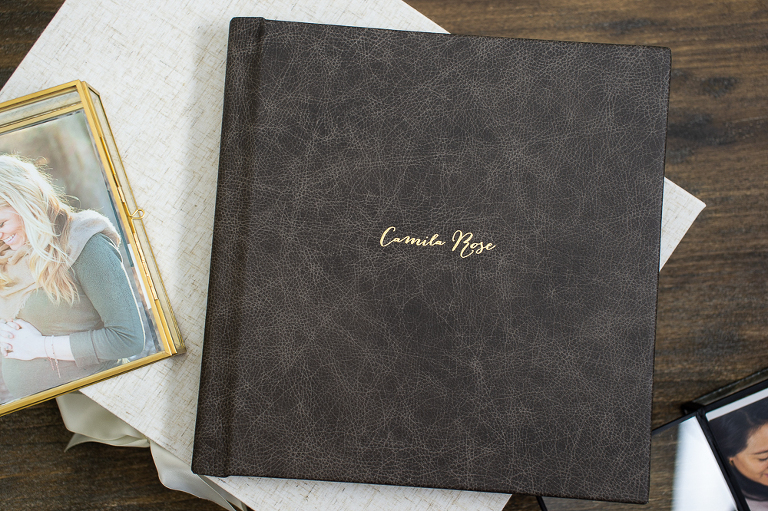 The fine art portrait album at its best, our London album feels like an heirloom from the moment you open it. From our 10x10 layflat art book for display on your coffee table to our 6x6 grandparent album, you'll find just the right fit. We simply cannot get enough of these gorgeous glass keepsake boxes. A beautiful display for your most precious portrait collection and a perfect gift for grandparents. 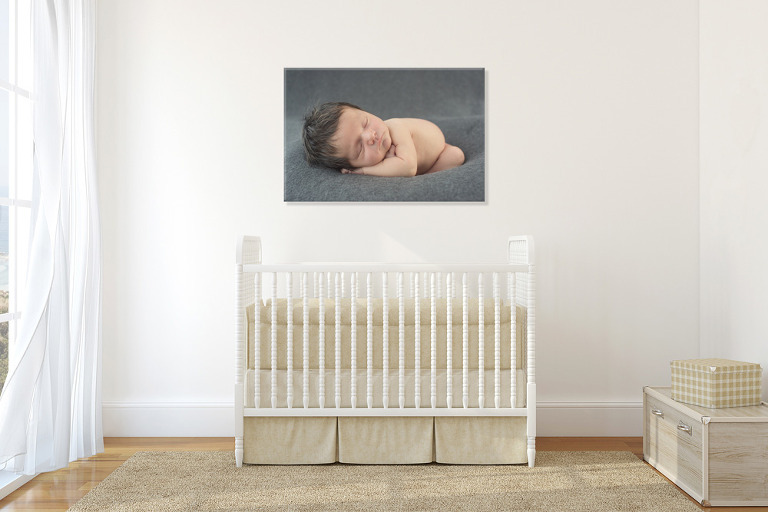 Add the final touch to your newly occupied nursery with archival wall art celebrating your newborn, or fill the walls of your home with a gallery of portraits. Frame-ready mounted wall prints and canvas prints available. Most clients will leave our studio with a custom collection including heirloom art pieces in addition to a digital collection for sharing with friends and family.